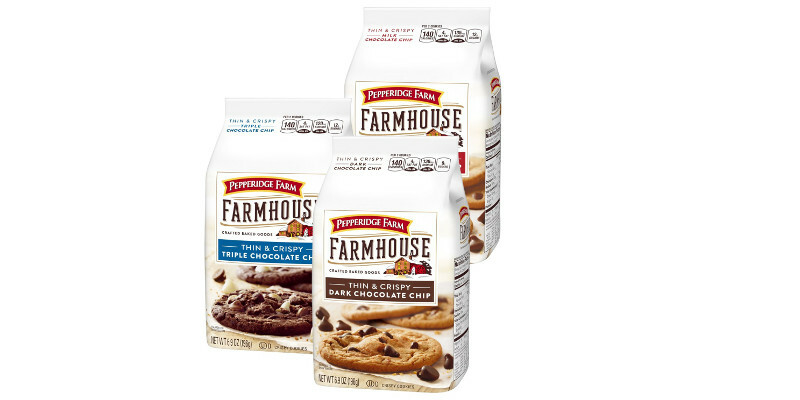 Pepperidge Farm launches new Pepperidge Farm Farmhouse Thin & Crispy cookies, available in the US. The chocolate chips come in three flavors: milk, dark and triple chocolate. Pepperidge Farm Farmhouse Thin & Crispy Cookies are inspired by homemade cookie recipes and made with only 9 – 12 ingredients, depending on the flavor. These include chocolate, flour, butter, sugar, brown sugar, cage-free eggs, baking soda, vanilla extract, and salt. From May 2017, the entire Pepperidge Farm American Collection Cookies line, with names inspired by American cities such as Nantucket and Sausalito, will also move to adding cage-free eggs to their ingredient list. 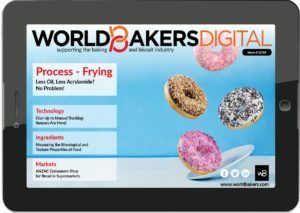 All 58 varieties of Pepperidge Farm breads, buns and rolls are free from high fructose corn syrup, and contain no colors or flavors from artificial sources. This year marks the 80th anniversary of Pepperidge Farm.